Well, we can’t speak for the rest of the industry, but we can say what we said in our #AskCabot answer, “Cabot has invested more than $18 million on roads for the safe and efficient transportation of goods and services.” But it isn’t just our goods and services that we’re looking out for; it is also our truck drivers, landowners, community partners and all-around Susquehanna County, Pa., residents that use those roads every day. 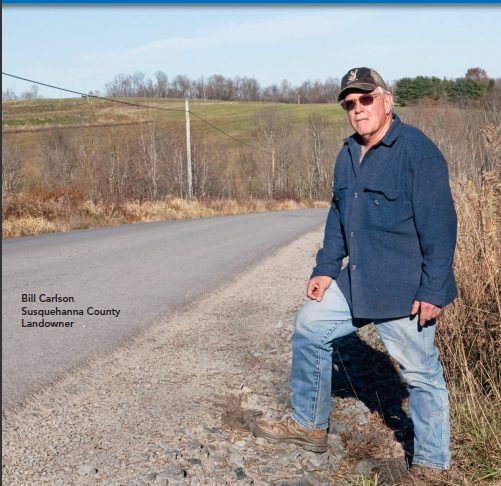 We spend so much time and effort on repairing, improving and maintaining Susquehanna roads because we care about the communities in which we live and work. We know that a safe, reliable and efficient road system is essential to a thriving regional economy, which is why we not only fix roads well-traveled by our water trucks and heavy equipment, but we build new roads for the community’s use. When repairing roads, Cabot’s contractors typically remove six inches of old pavement and replace it with six inches of new pavement. As seen in the video below, Christopher Erhardt explains that Cabot has approximately 60 miles of bonded road and in the past three years has repaired or replaced almost 30 miles of road. Cabot doesn’t just improve roads at the minimum level; we truly invest in the roads because we plan on being in the area for a long time. We also take a proactive stance when it comes to road improvement. Cabot and our subcontractors operate under the philosophy that if we can fix something small before it turns into a big issue, we do so promptly. Ron Ebberts, Roadmaster for Cabot (great title, right? ), looks for damages that could cause potential trouble to Cabot drivers and the residents of Susquehanna County in years to come. The video below shows how Cabot widens steep, one-lane roads that can prove dangerous in slick winter conditions and gives voice to a number of community residents who believe Cabot has performed a much-needed service for their communities. For more information about our dedication to the Susquehanna County Community, visit our “Stepping Up in Susquehanna County” Youtube playlist or view some our Mulligan Inserts. Would you like to see a whole blog post dedicated to one of your questions about Cabot? Then send us an #AskCabot tweet or email today.